Win a British wool stash! This month KnitBritish is a big 1 year old! It is also almost Christmas, a time of giving presents! To celebrate this – and the fact that for the last year I have been celebrating British wool and having great fun exploring the wealth of fibre this country has to offer, with you, dear reader….I am going to give away…. ….ONE KILOGRAM of Great British Wool!!! All year long I have been squirrelling away extra skeins, purchasing one or two more than my projects require or hand choosing yarns that I think will make one KnitBritish reader very happy to own. It started off that I intended to give away a couple of skeins throughout the year, but the pleasure that a ready-made stash might bring someone became too tempting. Then some yarn producers kindly donated some skeins for the prize and it became even more special! Do you want a peep inside? I am not even picturing the bulk of it here and actually there will be more added before the end of the contest. I think I should get a loudspeaker for this bit. *Klaxon squeal* *ahem*, “Is this thing on…. Do you want to know what is in it so far? Hmm, I think I might tease you with just over half for now…. There is a whole heap more I will introduce you too in the coming weeks leading up to the deadline of the giveaway. I want to KnitBritish because….. I won’t be choosing based on the best answer, but it sort of eliminates one word entry comments that you quite often see on blog-giveaways… T’is the season to be sociable after all! – Go here and find my KnitBritish win a stash board and Repin the stash on your Pinterest Board! I don’t do Facebook or anything else, so you can feel free to share widely and wherever, but only the above ways to enter will be valid. The contest will run until December 31st so you have ooooodles of time to enter and share it about. I will announce the very lucky winner very soon into the New Year. oh, and p.s. I am away for a few days, and will be doing no admin or promotion on this til I get back. If you enter comments and they don’t appear straight away on the blog, do not worry! I will approve them when I get back to my desk. Some of the yarn has been kindly and generously donated by yarn sellers. I have stated this in the stash where applicable. I am giving away this prize largely at my own expense because I love British wool, I love talking and writing and knitting British wool and I really want to promote it as widely as I can. I can’t think of a better gift to receive than an entire stash! 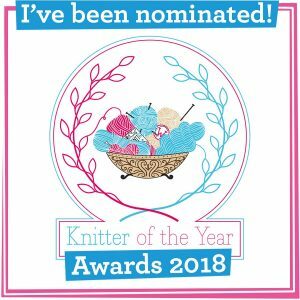 The final prize listing I will publish before the closing date is non-negotiable – If you can’t use a certain yarn for health reasons, or you simply don’t like it, pass it on and share it with someone who might – its the time of year for giving, after all! This is amazing, I’m hyperventilating! 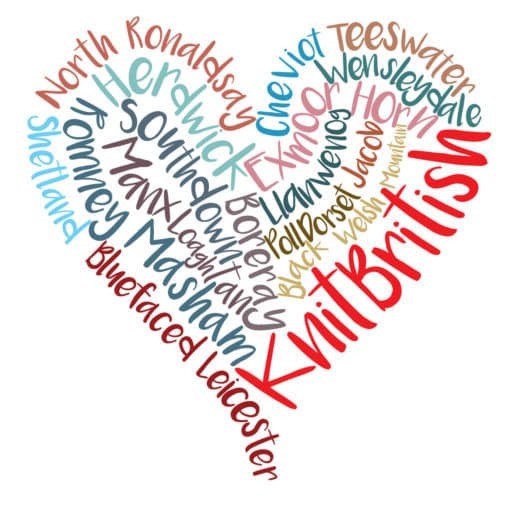 I want to KnitBritish because I live here and I love this country and it just makes sense to create things that are connected to this place, and support its people, and the quality is so high and the options so many that I don’t need to look anywhere else anyway. I want to Knit British, as being an Australian, the sheer excitment that so many breeds of sheep, gives such different texture of fibres to each special garmet…. I want to KnitBritish because… *klaxon squeal* just look at it! Great to see what Britain has to offer! First thing I’d love to make is a dress for my daughter like the one I posted on my blog! (Lu Flux) thanks for the great giveaway! I want to KnitBritish because I’ve been very inspired by this blog and also I moved to this country, mainly for all the great hiking and countryside walks. Where you are always passing tons of sheep! All varieties, colours, sizes. 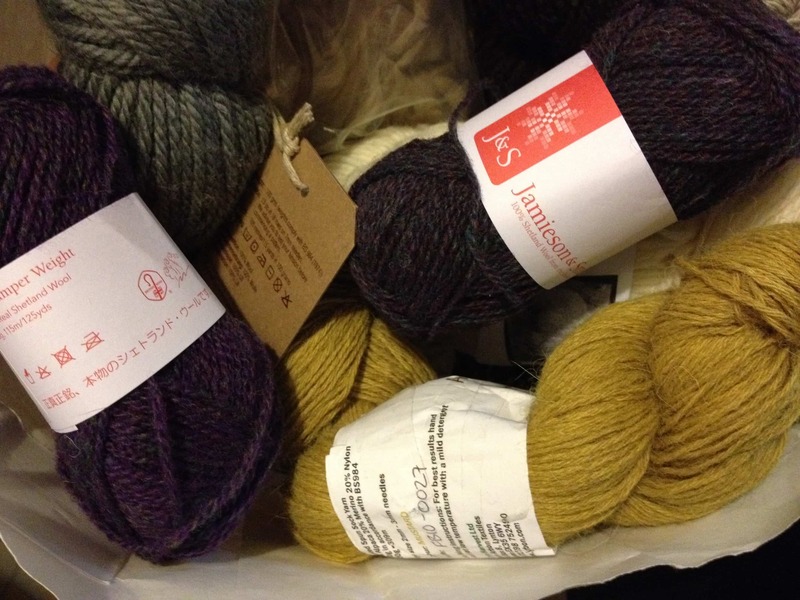 It would be great to have this stash and experiment with all the different textures of these wools. And all the people I’ve met at Woolfest and Yarndale who are involved in the industry have been so knowledgeable and friendly – how can you NOT support your local industries? This giveaway is fantastic! I want to KnitBritish because I have lived here all my life and it would be great to support wool providers from our own country. Also I cannot believe I have not had the chance to use such beautiful wool. 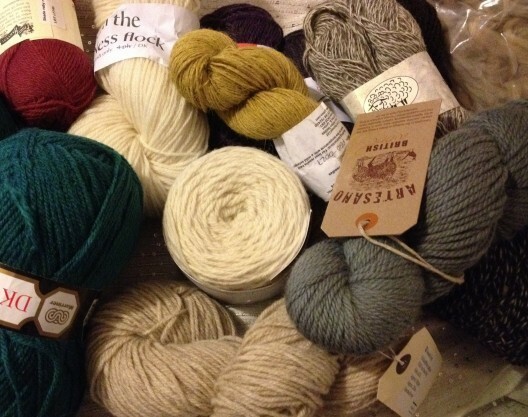 I have recently been watching videos about wool hauls and I am so jealous I need a stash! Thank you for the awesome giveaway and the opportunity. I want to knit British because I love to see sheep in the British countryside, I want to support British businesses and because I love the feel of real British wool between my fingers. I want to KnitBritish because I am incredibly passionate about using local produce which benefits not only the farmers, spinners and other producers involved in the wool industry, but also the environment by reducing transport costs and hence CO2 etc. And less nobly…because it makes me feel good to wear British wool. Thank you so much for this, without a doubt the most generous giveaway I’ve ever seen! I want to KnitBritish because, I just moved back from Australia and I am feeling particularly patriotic… and cold. I want to KnitBritish because I am a new spinner and have been converted to using pure wool. I am loving experimenting with spinning different fleeces from the raw fleece through to wool. Winning this wonderful bounty would give me the chance to try out loads of different British breeds a lot more quickly than spinning them from scratch….yum! I want to knit British because there is so much beautiful British wool out there. I realised about a year ago that I hardly ever knit with the Shetland wool that is is my door step, that combined with the huge stash I have inherited from my Mum, Granny and Aunty, there are so many things I want to make with Britsh wool without going anywhere else! I want to knit British because I spent a lot of my adolescence chasing sheep back into the field whence they had jumped (they can clear surprisingly high fences). It’s my revenge on the woolly beasts. Oooh, I want to knitBritish because I am British! And I do believe that local things work best in their own environment, rather than things brought from thousands of miles away. I want to knitBritish because, simply put, British sheep and their beautiful wool are the BEST. From cheeky Shetlands to harlequin Jacobs we are so fortunate to have such a variety of colours, lustre, handle and uses; I love knitting and LOVE British wool. I want to KnitBritish because I like to buy and use a product that is grown and produced in Britain. I want to KnitBritish because there’s no place like home. I want to KnitBritish because after the Scottish referendum this Britain may not be the Britain that we now know and love! I want to KnitBritish because the selection is like a sweetshop – there are so many heavenly yarns to choose from. Even though I’ve knitted with a few different British wools (including shetland, southdowns, coloured ryeland, bfl, wensleydale) there are just so many out there I haven’t tried yet. I’ve done lots of walking in England, Wales and Scotland and it’s amazing the variety of sheep that you stumble upon in climbing up the hills and down the dales. PS – thanks for running such a fantastic giveaway. I want to KnitBritish because wool is a miracle – sheep take in grass, and produce this wonderful stuff — and British wool is our own local miracle. I want to KnitBritish because I want to support UK sheep farmers, and the mills and local yarn shops as well. With such great fleeces produced here providing a wide variety of excellent yarns made and available here, there doesn’t seem to be any reason to use yarns sourced from anywhere else! Until a few months ago I would knit with anything. Even that stuff that disguises itself as wool. You know the sort of thing?! A very good and treasured friend started spinning and weaving and introduced me to real wool and not just any real wool but British real wool and I am hooked. Her wool is amazing too. I am completely obsessed. I stroke it and look after it very well and the beautiful alpaca stole i made was more like a pet than a project. I am starting to appreciate the difference, not just in the weight but the feel and natural colours of wool. The teal does sound yum though! 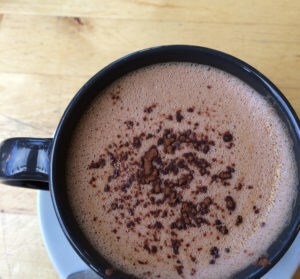 I could call our current choices a veritable smorgasbord of yarns, but instead I tend to liken those choices we have now to shopping the Farmer’s Market in your local town, where you feel like you are making direct contact with the producers themselves. I am lost for word; such generosity! I cannot begin to imagine to knit with these gorgeous skeins of British wool, all I can think of right now is that I just want to touch and feel and hug and smell them (do I sound weird?)!!! Yet, I want to KnitBritish because I believe in supporting the local businesses and British farmers in particular. I want to KnitBritish because we have the bestest sheep in all the world! 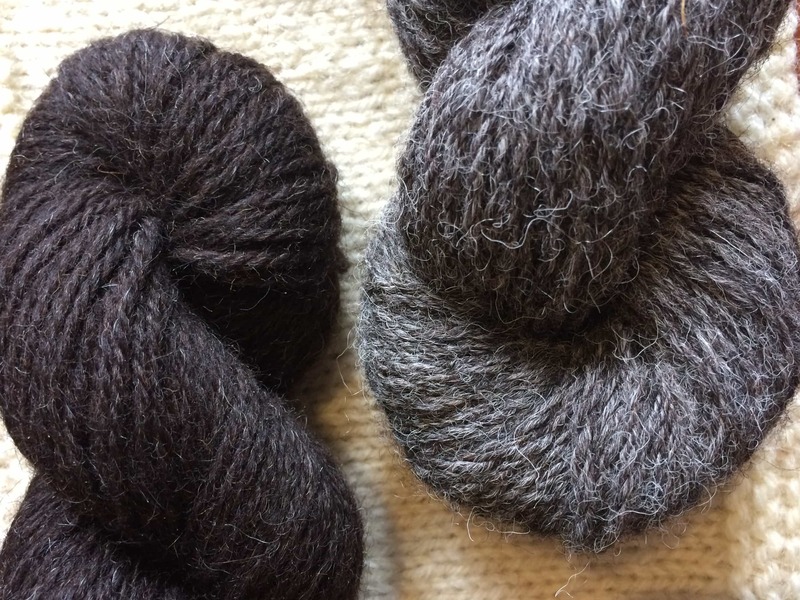 I want to Knit British because… I recently moved to Scotland and now I’m itching to hop over to the Islands and purchase gorgeous wool straight from the source. Also I’ve bought almost no yarn these last 18months and I’d really like to add to my stash!! DH really wants a jumper!! P.S. Thank you for sharing your blog and your stash with us. I want to Knit a British because I’m greedy! After reading your post at the beginning if the year I decided to only buy British this year (with a couple of escape clauses) and I pretty much stuck to it – only a couple of blips. I’ve also knit from stash so I haven’t only Knit British this year, but I’ve loved the British that I have knitted with. However… I haven’t knitted with anything in your initial listing, so I’d like to try them! I want to knit British because J&S is my all time favourite wool and I have used it since the 70s. I spin as well and especially love all the rare breeds we have in Britain. I want to knit British because despite the fact I live in what used to be the wool capital of Britain, until I discovered this blog I knew very little about British wool. I am inspired, not only to try to knit British more often but to go out and find the history and beauty of British wool & industry that is right on my doorstep. There is more to knitting than just a finished object and the love and Time put into creating it and the history and future of the wool is part of that. 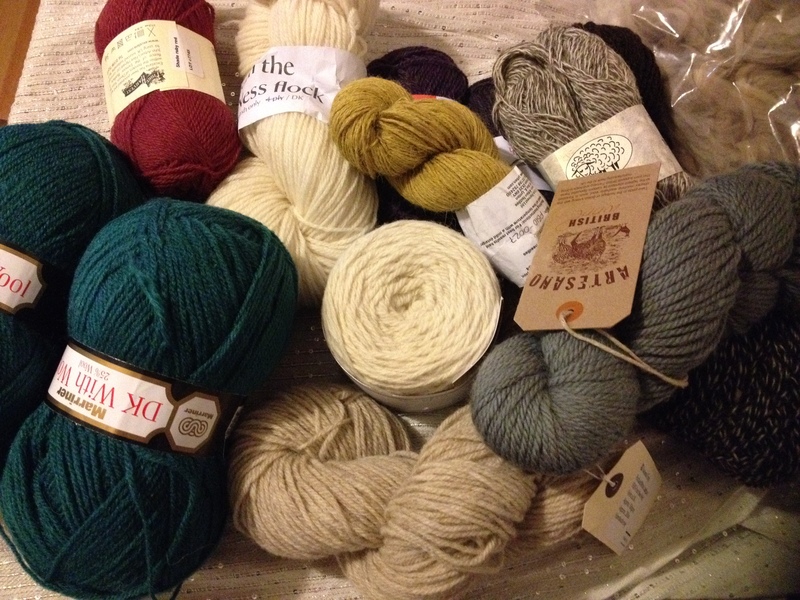 …because knitting is what I do best…and Wensleydale, BFL are my absolute faves!!! I want to KnitBritish because it’s so versatile. There are so many breeds of sheep on this amazing island, and their wool can be used to make everything imaginable. Everything from feltables to coarse wools great for rugs or cushions, to soft against skin lovelies. I want to knit British because I just can’t bear the thought of all those poor sheep shearers being out of work if I don’t… And those poor sheep having to wear big, heavy wool coats in summer (though that does seem a long way off right now. This is so amazing and so generous! I will knit British (also), because I like discovering new yarns and new breeds, and the british yarn I have already used, is great (I’m in love with BFL). Unfortunately (for me, but I sure do understand the reason), I do not live in Britain, so I would like my friend Amelia (Knitternatter on Ravelry), who is british and who lives over there, to have the yarn, if I am so lucky to be drawn as winner. She’s a great girl and a very skilled knitter, and she would know to appreciate such a gift! Happy anniversary, and merry Christmas! I want to Knit British because … I’d love for all my knitted things to be made from wool that has been grown and spun in the UK. With so many great and emerging small companies, there is far much choice than it would seem in most high-street shops. And this blog is bringing so many of them to my attention! I want to Knit British because … it feels wonderful to wear, it makes the perfect garments for our climate (especially up here in the north of Scotland! ), it supports our local economy and it will help me sound the klaxon for natural products. Plus I can’t wait to try out those delicious colours and textures! …I LOVE British Wool!! I support the UK economy wherever possible. I love sheep!! I have an addiction to BFL and Wensleydale yarns. I have pinned (hayleynaugher), tweeted (hetty85) and I subscribe to your mailing list. Thank you for hosting such a FAB giveaway! I want to KnitBritish because… I believe in buying local and sustaining local economy. Buying UK yarn (and even better, UK wool!) is a good step in reducing environmental footprint: local, and natural fibre. You can’t get much better than that! I want to KnitBritish because I would love to try lots of different yarns. I’ve improved my knitting recently and am really keen to further progress by using different wool and being more adventurous with what I make. It’s a lovely, generous thing of you to do and I know that whoever wins will be extremely happy! I want to KnitBritish…..because I can…. we have an amazing selection of yarn available in this country so lets use it……. I want to KnitBritish because there are so many different breeds to choose from, and such a wonderful range of producers making beautiful yarns right here on our doorstep! Thank you for such a wonderfully generous giveaway! Hello. I want to knitbritish because I truly believe in supporting our wool producers and be proud of the heritage of wool and crafts in the UK. I am a real believer in #knitbritish because if we don’t. There will be nothing left. and that would be a real shame. I want to KnitBritish because we should all KnitBritish! A few years ago I went to a workshop on British sheep breeds given by the lovely Clara Parkes. She began by reminding us how very lucky we are, with more native sheep breeds than any other country. We should be so proud, people! I want to knit British because I believe in social justice and sustainability, so I want our sheep & their farmers to survive. Also I am a romantic and love the names of heritage sheep, and the beauty of the wild places so many inhabit. And there’s no knitting boredom with all those colours and textures! I want to knit british because we have lost enough traditional industry in this country and losing our wool heritage would be a tragedy. I enjoy the variety of the wool and feel good about supporting the farmers and the countryside….and I love sheep! I want to knit British because I believe in using local, sustainable products wherever possible, and because it’s a link to our heritage, and because British wool is so lovely and cosy and hardwearing! I want to knit British because I love the variety of different wool available. I want to KnitBritish because well, apart from the fact it’s completely gorgeous and lovely to knit with? It supports local business, is much more sustainable, and is all round a good thing. I want to KnitBritish because I am passionate about supporting British farmers and British industry. We have the best wool in the world so why look anywhere else? This is a great site and a great initiative, well done! I want to KnitBritish because I’m new to the UK and want to try out as much UK wool as I can while I’m living here. I want to Knit British not only to support our British farmers, spinners and dyers but because it is the best quality yarn in the world! I want to knit British as I want to extend my knowledge of all our lovely sheep breeds . I’ve been embracing the idea of ‘slow clothes’ cherishing what we make and our own producers are just right to support. Thank you for the opportunity. I want to knit British and win the prize so I can share it with my knitting group and have a knitalong for something gorgeous. Thank you for your generosity and have a happy holiday. It reduces yarn miles (like food miles) and supports British farmers. I want to knit British because I honestly believe it is the best in the world and my personal challenge for 2014 is to knit/spin as many British breeds as I can lay my hands on. This incredible prize would get me off to a great start. I want to knit British because I have found Louise’s blog very interesting this year. I want to KnitBritish so that these islands retain all the associated knowledge and skills that have been passed down through the generations and my dear pets Frodo and Petal asked me to mention the contribution of rabbits to this great inheritance. I want to KnitBritish because with a stash box like that who wouldn’t want to, lovely fibres and amazing colours happy KnitBritish days. Looking forward to teaching my niece too so this will help her to love our native yarn, thanks for the chance. I want to knit British because…there is still so much to explore when you thought you knew a lot of them! i want to knit British because we need to support our local farmers, producers and traders. And we have the best right here on our doorstep. I want to knitBritish to support our British farmers and their rare breeds. I’ve had the privilege of meeting and even working with some of the sheep that contributed to the prize, as well as visited some of the beautiful England scenery they help to preserve through conservation grazing. I want to knit British because : I don’t want to compromise on quality; I value the traceability from sheep to my needles; I am making a contribution to the British rural economy and I’m keeping a small part of an important heritage going. I want to knit British because I live British and I love British, so of course I should knit British too. I want to KnitBritish because it’s the BEST (in my totally biased opinion), because I’m British, because I can, because I don’t like stuff being unnecessarily transported all around the world, because there’s so much variation, because I owe it to my sheep… How many reasons does one need? I am obsessed. I want to KnitBritish because I know British wool is still the best in the world and we are so lucky to have such a great resource. And we have great British designers too publishing fantastic patterns. I want to KnitBritish because Great Britain is where I was born and bred and I love to support British companies, especially with yarns. This is a great giveaway! I want to knit British because I’m worth it! We have been producing fantastic British yarn for years and I can think of nothing better than knitting a British sweater. I want to KnitBritish because I am so inspired by British yarns having been to the Wool Exhibition at Somerset House this year. I want to KnitBritish because the selection of yarns we have in this country is so beautiful! I believe in supporting British companies, our wool industry etc. and love that at least some of my support goes all the way back to the farmers who rear the sheep. I’m learning to knit British because I have just realised the wealth of wool that is available and how they behave differently. I’m excited to start. I want to knit British because wearing lovely British wool makes me feel million dollars even when I’m skint. Because I know that I’m supporting somebody running a sound, sustainable business in the UK. Because Britain produces the best wool in the world and importing it is mad in a coals to newcastle kind of way. Oh and because I love the soft, clear shades that British producers make. Oh and I also want to win this competition because Dec 31st is my birthday and a massive stash of lovely yarn would be an awesome birthday present! I would love to win this stash. I’m a great believer in our British wool and try to buy it whenever possible,, both because it is fab and also to support the producers who need all the help we can give them. It is diverse and beautiful. This would really get 2014 off to a great start for me. The patterns are already waiting! I want to KnitBritish because there are so many diverse breeds of sheep reared here with different types of wool. It is a fantastic cornucopia and an amazing fiber adventure! I want to knit British because I like the idea of shopping locally for everything, including wool for knitting. I also like the idea that locally available fibres must be the best for the local climate. If it’s good enough for local sheep, it’s good enough for me! I want to KnitBritish because I have just learnt to knit and I have never knitted with British wool before.